Filed under Buy Flowers, valentines day flowers, valentines flowers, valentines roses. 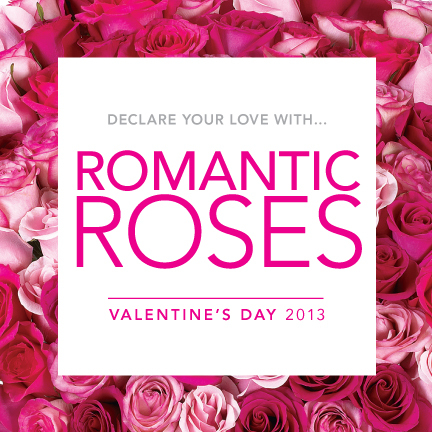 When everyone at Calyx Flowers was in planning mode for Valentine’s Day 2013, we thought this would be the year where we offer roses in all colors and sizes. After all not every girl, woman or even guy is wanting your typical bouquet of red roses. Now don’t get us wrong. We absolutely adore red roses and have lots of options highlighting the different varieties of red that scream “I love you!” However we wanted a collection of bouquets so encompassing that our flower lovers would take notice. “When you’re designing with roses, it doesn’t take much to create an incredibly beautiful bouquet. What does take a lot is how to give the roses a platform to be dramatic and stand out”, says Calyx designer, Brittany Streufert. In addition to creating the bouquets that grace CalyxFlowers.com and our catalog, the flower expert searches high and low for luxurious vessels and amazing vases that work with the different floral components she selects. We would love to hear from you and your thoughts on our Valentine’s Day bouquets.